Select Shared in the left navigation pane. 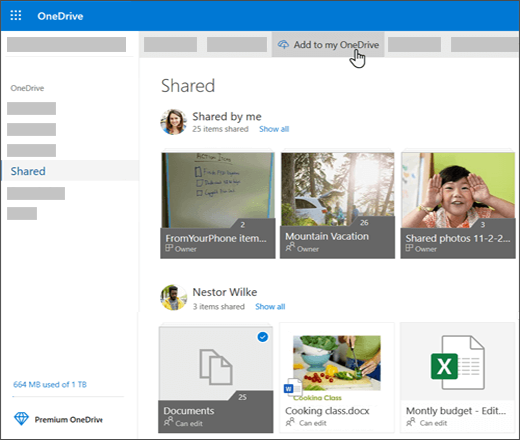 Select the folder you want to add and select Add to my OneDrive. Or right-click the folder and select Add to my OneDrive. 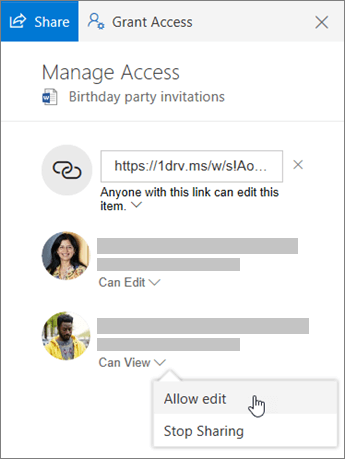 If you are the file owner, or have edit permissions, you can stop or change the sharing permissions. Select the file or folder you want to stop sharing.